“Hope your day is on cloud nine”. 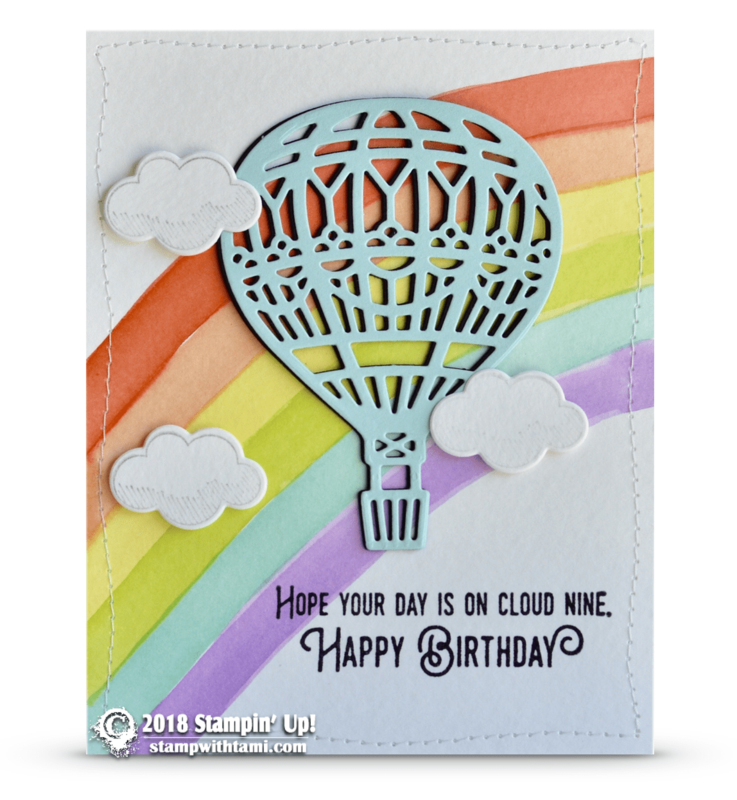 Love this birthday card from the Stampin’ Up Lift Me Up stamp set and Up & Away Thinlits. The Rainbow was hand painted with a regular paint brush and ink pad ink.